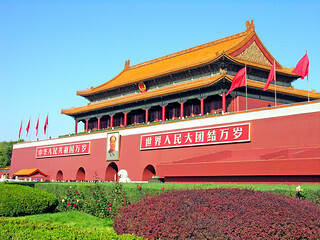 Entrance into the Forbidden City, it was the principal entry to the Imperial Palace during the Ming and Qing dynasties. It is one of the finest monumental gates in the world, extraordinary for its imposing size. Ornamental Columns (huabiao), stone lions and white marble bridges decorate the front.